A great way to pursue a career and have time for your own writing is to get involved in the community arts programs. Community arts boards are always looking for artists and creative writers to visit schools and give workshops to showcase their talents and teach students of all ages. By visiting around schools, you will build a reputation among students and parents that can help as you publish your own works of literature one day, as well as if you’d like to start your own creative writing classes, children’s theater or art classes through the community instead of through a university. While the money won’t roll in like a job with a corporation, you’ll be able to teach in your own environment and by your own rules, which will leave you plenty of time for your own creative works! Sure it’s not as exciting as writing steamy romance novels all day, but since most degrees in creative writing are technically English majors, you can use that to your advantage. Documentation specialists and technical writers are needed in virtually any business and provide a terrific paycheck as well as a steady career path. Most technical writers start off around 45K–50K a year, and by moving up in the company and becoming senior writers, you’ll start to make more money than you’d ever thought an English major could make. While you may not be too excited about documenting company policies, software guides, or white papers, it will definitely be worth it to know you have a stable job with a fantastic salary. We all know the guys in the marketing department are the ones who are having a blast and coming up with pithy and dynamic ideas to market and promote their company all around the world. So why not use your creative ideas and all those art classes your roommate talked you into taking to enhance the marketing projects for a major company? Marketing writers don’t just write content for billboards or selling sheets, they also can be part of multimedia productions that include commercials, infomercials, and content for company parties and conferences. Ever have that nagging feeling like you’re not done with your education? Me too! 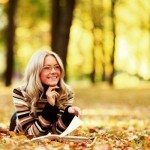 Pursuing an advanced degree after receiving your bachelor’s is a big decision and a big commitment since the research and writing will be even more extensive than through your bachelor’s degree. However, your career possibilities after receiving an advanced degree are limitless. The president of my university once said that a B.A. in English was the golden ticket into nearly any graduate school program because the admissions department knew already that you have an ability to research and write extensively, which is basically the majority of postgraduate work. No matter which area you select for postgraduate study, it will help your own writing exponentially to deepen your knowledge of art history, history, literature, or even more creative writing. A master’s degree will get you an adjunct position at a junior college or smaller university, and your Ph.D. will get you research and a career as a professor at a university. If you’re not too keen about the idea of getting a master’s degree or Ph.D. but want to teach, consider going back to school to get your teaching license to teach elementary, middle, or high school students. The license program for teachers is much shorter than master’s degrees and certainly than a Ph.D., and it is offered at many universities and even through online classes. You’ll first take education courses, and then you’ll have the opportunity to be a student teacher for a semester to determine if you’re really cut out for teaching children and adolescents. If it is what truly brings you meaning, you’ll know right away after starting the program and be on track to have a new career that can easily accommodate a busy family schedule and time for your own personal writing. Search Engine Optimization, or SEO as it is more commonly known, is the latest innovation in online marketing and company promotion. Many SEO companies are looking for avid bloggers and creative writers to contribute to blogs by writing unique content that highlights one of their products or their entire company. SEO companies also contract out to talented writers and grammar specialists to write content specifically for client websites. 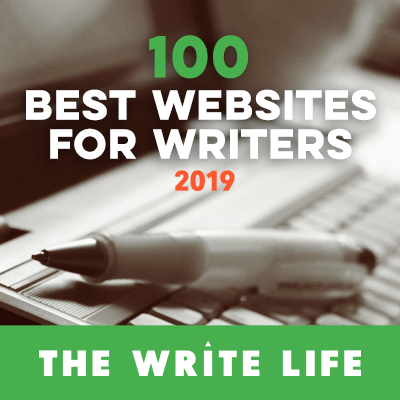 This is a great pathway to learn about web design, coding, and other terrific skills that can help you with your own writing as well as personal promotion for your literary works as they are published! If you feel like you don’t quite have the experience to work in technical or marketing writing but want to someday get back into the career field, then you might consider freelancing with your skills! Freelance work is perfect for those with extensive family responsibilities or another current career. It will help you gain experience as a writer and build a name for yourself in the online and corporate world. Taking writing jobs here and there while working at home or being contracted through a major organization can boost your chances of having an impressive resume for a full-time technical writing or public relations position. Lucy Markham worked as a career and academic counselor for several years while pursuing her B.A. in English: Creative Writing from the University of Florida and is currently finishing up her M.A. in Education from the University of Utah. Thanks for these ideas. It’s so hard to choose and make time for just one but I need to for the sake of my sanity. It’s easy to get discouraged when people say writers can’t be rich but I don’t think richness is all about the pay cheque, it’s more about living the life you want to live.